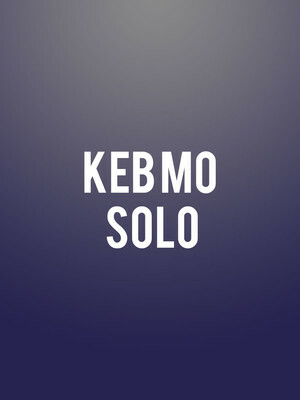 Why See Keb Mo Solo? Described as a conduit for the historic Delta blues that flowed up the Mississippi river and found its way to stages across America, legendary bluesman Kevin Roosevelt Moore AKA Keb' Mo' was raised on gospel and the blues, a lifelong love that blossomed into an accomplished guitar skill from a young age. Don't miss the 'Rainmaker' hitmaker and his lightning fast yet soulful fretwork during this special solo stripped-back show. 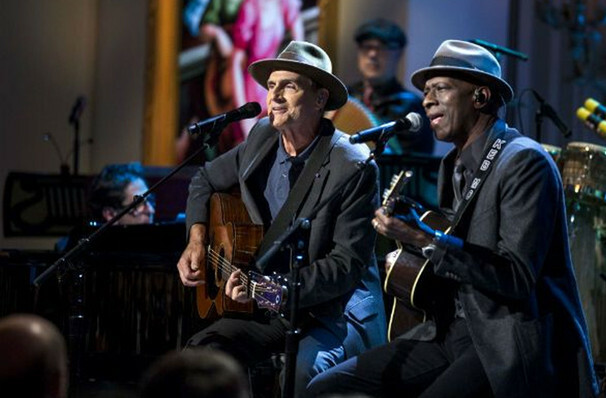 Since picking up the guitar as a youngster, Keb' Mo' has proven himself to be one of the modern masters of the blues and contemporary Americana, both as an accomplished frontman and sideman. Channeling the spirit of Robert Johnson at those mythical crossroads, he offers up a high standard of virtuosic musicianship and lyricism, especially when it comes to live performances. Not only is he incredibly skilled when it comes to guitar, but his melodic playing is underpinned by bright brassy vocals that always have a story to tell. Sound good to you? Share this page on social media and let your friends know about Keb Mo Solo at Paramount Theater. Please note: The term Paramount Theater and/or Keb Mo Solo as well as all associated graphics, logos, and/or other trademarks, tradenames or copyrights are the property of the Paramount Theater and/or Keb Mo Solo and are used herein for factual descriptive purposes only. We are in no way associated with or authorized by the Paramount Theater and/or Keb Mo Solo and neither that entity nor any of its affiliates have licensed or endorsed us to sell tickets, goods and or services in conjunction with their events.